Good Time Beverages™ joins forces with Southern Wine & Spirits distributorship and Five Star Wine and Spirits for Bob And Stacy's Cocktails To Go and Big Barrel Spirits Brands. Good Time Beverages (http://www.goodtimebeverages.com), the sector leader for single-serve, ready-to-drink (RTD), premium cocktails in portable, earth-friendly, re-sealable pouches, is pleased to announce the appointment of Southern Wine & Spirits of America, Inc. (http://www.southernwine.com; “Southern”) as distributors working with Five Star Wine and Spirits as market managers, to expand the Sunshine State presence of Good Time Beverages’ Bob & Stacy’s™ Premium Margarita and Big Barrel Spirits™ brands. Five Star is a spirits broker and market manager that represents brands in Florida, while Southern Wine & Spirits, headquartered in Miami, is the nation’s largest wine and spirits distributor. Southern has operations in 35 markets – stretching across the country – including its original “home” market of Florida, which is the first Southern Wine & Spirits state for Good Time Beverages. Good Time Beverages also has product distribution in Texas, California and Nevada, and plans for further expansion this spring. 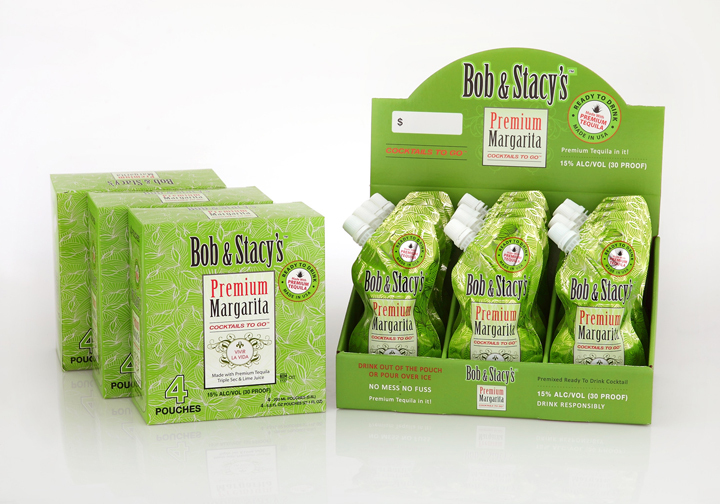 Bob & Stacy’s Premium Margarita, a “bar quality,” 30 proof, ready-to-drink cocktail packaged in patented pouches, began to hit the Florida market in the fall of 2011. "Bob & Stacy's pre-made margaritas are made with premium tequila, triple sec and lime juice – not malt or wine – and are ideal for all of Florida’s outdoor activities. 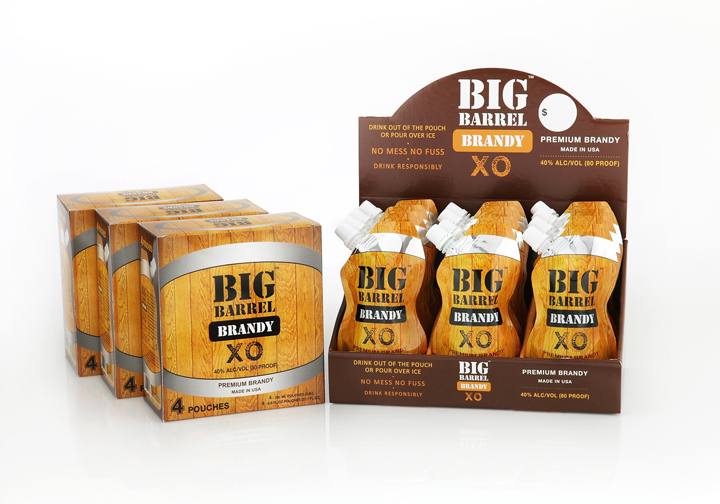 We’re confident that the Florida market will embrace these innovative and delicious cocktail products,” says Bradd Levitan, President of Five Star Wine and Spirits, with whom Good Time Beverages has formed an alliance to manage and market the company’s brands. Good Time Beverages’ cocktail products, packaged in on-the-go GoPouches™, are perfect for a variety of pastimes – from boating to barbecues to State fairs to NASCAR races – or simply, to enjoy by consumers’ backyard pools. Good Time Beverages’ products are also fitting for picnics, concerts, assorted sporting events, in RVs, while hiking, fishing, skiing, camping, golfing and on hunting trips. The drinks can also be enjoyed in the home, when the consumer desires a single-serve cocktail option. Through Good Time Beverages’ network of the best and most established beverage distributors in the country, the company’s products are sold at retail chains coast-to-coast, in a convenient four-pouch package. Good Time Beverages’ unique cocktail concept utilizes only premium spirits in each of their mixed cocktail products, which are being lauded for both the quality of their contents as well as the convenience and eco-friendly aspects of their packaging. All Good Time Beverages’ products are made in the USA and are packaged in earth-friendly, easy-pour, re-sealable pouches that weigh significantly less than traditional drink containers, making them very portable. Every Good Time Beverages product is like having your own personal bartender wherever you go. Upcoming Good Time Beverages products include Vodka Cosmo and Sweet Tea Lemonade, both due out on the market in the summer of 2012. For more information about Good Time Beverages, their expanding product lines and eco-friendly packaging, or to find a distributor or a listing of events at which you can find Good Time Beverages, please visit: http://www.goodtimebeverages.com. Requests for further information and comment, or interview requests, can be directed to Robert K. Whyte at 562.291.6291 x3, or sent via email to info(at)goodtimebeverages(dot)com. Good Time Beverages urges consumers to drink responsibly. Good Time Beverages "Bob & Stacy's Premium Margarita" and "Big Barrel Spirits" brands.Good Time Beverages "Bob & Stacy's Premium Margarita" and "Big Barrel Spirits" brands. Good Time Beverages "Bob & Stacy's Premium Margarita" and "Big Barrel Spirits" brands.Good Time Beverages "Bob & Stacy's Premium Margarita" and "Big Barrel Spirits" brands.